Know one got one yet then ? Not just yet, but here's a stop-gap for now!! Bristle Hound and Blackwhite like this. I guess that will have to do for now! Rob2k68, RS3 S., S. and 10 others like this. Both look great tbf! 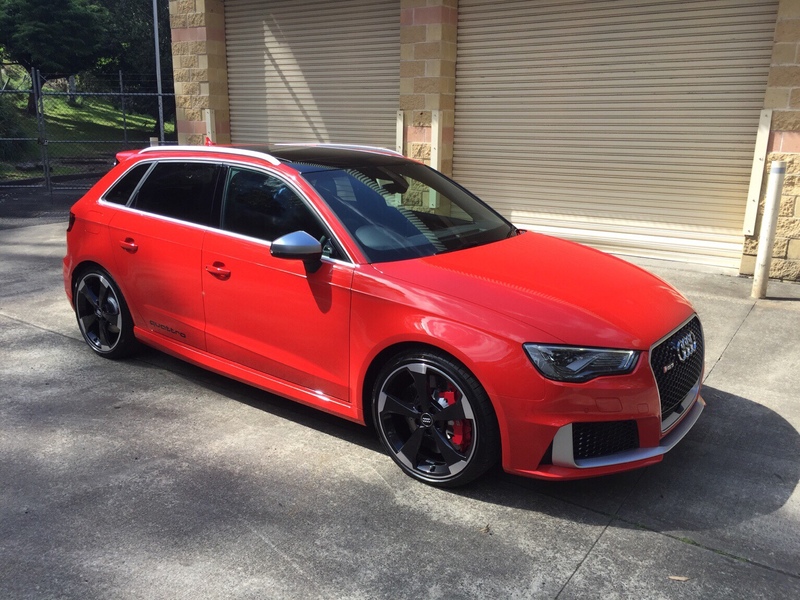 Who cleaned up the RS3 in the pics, the garage or someone else? S., Rob2k68, Yeoy and 4 others like this. Quick write up Cav for those of us still waiting?! From the start up bark and crackle as it settled into idle I knew I'd made the right choice cancelling my A45 order and waiting a little longer for this. For me the sound dominates proceedings all the time. I haven't taken the car out of dynamic mode as I'm in love with that 5 pot warble and bang, crackle on downshifts. A lot of people have mentioned that it isn't aggressive enough or 'RS' enough in the looks department. But I disagree. No it's never going to be an RS6 but in the correct colour and with the correct extras this little beast can look mega imposing. It helps I have changed the wheels as I've got a lower offset helping the hunkered down look that RS models are renowned for. I have to admit the car does have its flaws in the handling department. It is quite nose heavy. Nothing drastic but I wouldn't enjoy this thing on a track, although neither is it built for that purpose. As a road car this thing is formidable and not much would see which way it went down a country lane. The Quattro traction and mid corner grip is hugely satisfying once you've got that nose into the corner, it'll just hold on. All in all I can't see many being disappointed with long term ownership of the car. 28-30 mpg is achievable but put your foot down and that sinks.....fast! Great build quality and some great reactions from fellow enthusiasts and drivers alike make this a really rewarding car to enjoy and own. Djs3saloon, RS3 S., monkeyboy_marcus and 17 others like this. All detailed up and ready to enjoy! Alex C, E15, glasgowdubber and 12 others like this. Cambridge Audi have a used Black (Panther) Black on the Audi.co.uk used cars section. £49,990!!! Hoping mine will look a bit like this and glad I'm having Titanium wheels and no red callipers. Can't seem to down load pictures but they are there for all to see on Audi.co.uk used cars and search..
kkp0897, Evotion, deanshaw24 and 6 others like this. Mine too. Have gone with Alu mirrors and brake calipers though. Like the look of carbon mirrors but thought the Red calipers drew too much attention whereas I like the stealth look. Personal choice though. 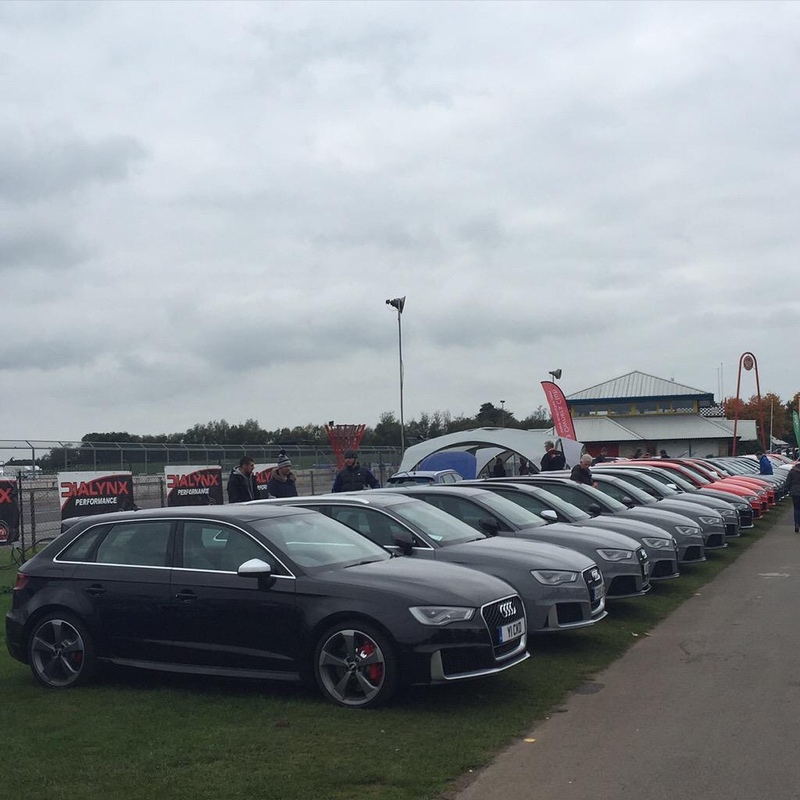 Take a look on audi.co.uk used cars RS3 ... There's a black one with Red calipers ..I'm not sure the effect works so I didn't go for them . 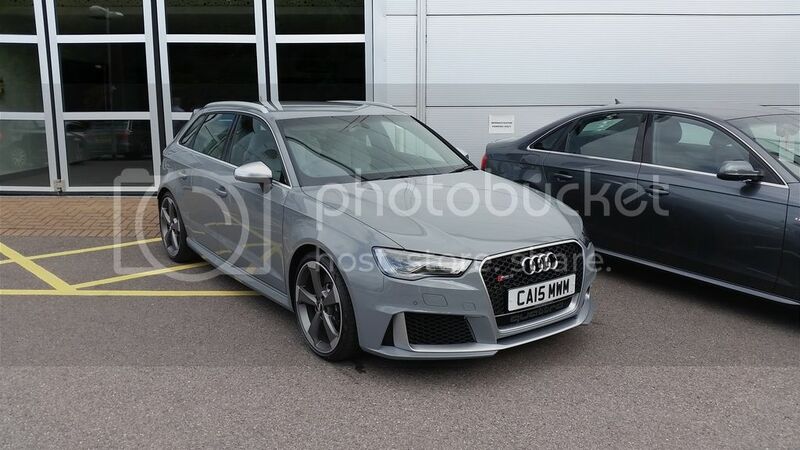 I really had discounted the RS3 as my next car....why on earth did you go and post this photo up????? haha Looks lush!! RGBARGEE and RYuill like this. The all black does look very nice indeed. RGBARGEE, lucas-suisse and AndyB-S3 like this. 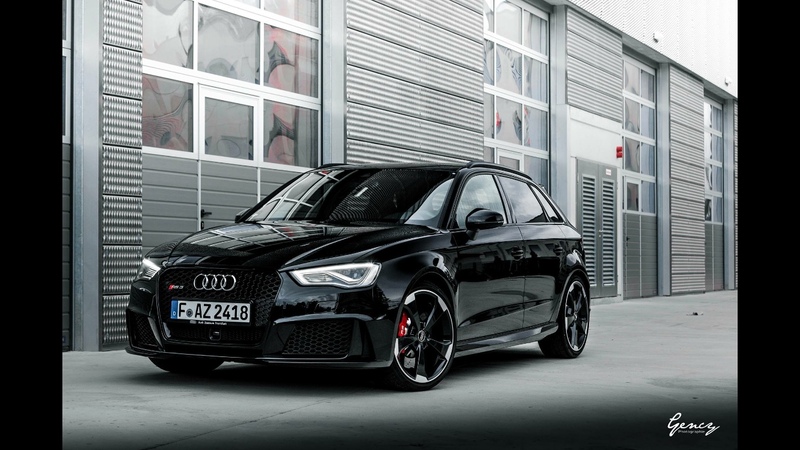 hey guys..anyone saw somewhere pictures of the new rs3 in Nogaro blue?? kkp0897, Bristle Hound and Snake Pliskin like this. S., AndyB-S3, RGBARGEE and 1 other person like this. Bristle Hound and AndyB-S3 like this. S., Snake Pliskin, RYuill and 1 other person like this. E15, AudiNutta, S. and 2 others like this. I didn't realise that de-badging removed the front badge as well. I specifically asked for the front badge to be removed so I don't know if that's just me or if "they all do that Sir"! Anyone else de-badged and can confirm? CHEZ, RGBARGEE and Right&Glory like this.